I do a lot of technology demos and spend quite a lot of time on Peplink integration design with customers – its work I enjoy for a number of reasons, but the best bit is normally the initial response from the customer who is new to our products and technology. I’ll do a demo, or explain how the integration will work and invariably there is a substantial pause or period of silence just after. I can normally see the cogs turning as new possibilities and capabilities become clear in their minds and then… we’ll then it’s normally a torrent of questions. You see, what most people don’t normally understand at first about SD-WAN is not just how clever the technology is, but what it will mean for them and their business – and these benefits are not immediately obvious. Sure, there are the often publicised cost savings over traditional WAN implementations, where SD-WAN can be used to replace or augment existing MPLS based services using multiple commodity internet links, and this naturally leads to considerable cost savings over a managed WAN infrastructure that uses fixed line services from a single ISP, but its the additional capabilities and visibility that really makes SD-WAN a game changer. In fact, I like to say that “SD-WAN changes Everything”. It enables rapid, temporary and mobile deployments of the enterprise WAN over cellular wherever you need connectivity, be that at an event, in a new office, boat, or vehicle – or wherever you business needs it. I’ve seen the enterprise wan extended to wind turbines, remote IP CCTV cameras, vending and ATM machines in shopping malls and within other businesses using cellular and wifi as a WAN into locations that would have been impossible (or have taken months) to reach using conventional, traditional WAN technologies. It enables enterprise managed mobile internet connectivity like no other technology, and is so much better than MiFIs and LTE dongles that are in my opinion not fit for purpose for enterprise deployments. How is it so different? The key thing is the SD-WAN controller, the centralised management and reporting facility that not only gives you full visibility of your global device estate but also full remote management – even when the remote devices are on dynamic IPs or deep within multi-NAT host networks. Using the SD-WAN controller, a single tiny centralized network team can fully manage and monitor an entire globally deployed estate of devices – quickly and easily – even automatically configuring box fresh devices to join VPN infrastructures and auto cofigure wifi configurations without any manual intervention. It is this core controller capability that really sets SD-WAN apart for me as the way forward for enterprise WAN infrastructures, since not only can you achieve cost savings buy using whatever internet connectivity is available at a location, but you can also completely change the way you manage the WAN as a whole increasing agility, am improving service delivery. If you haven’t looked at SD-WAN yet – you really should. 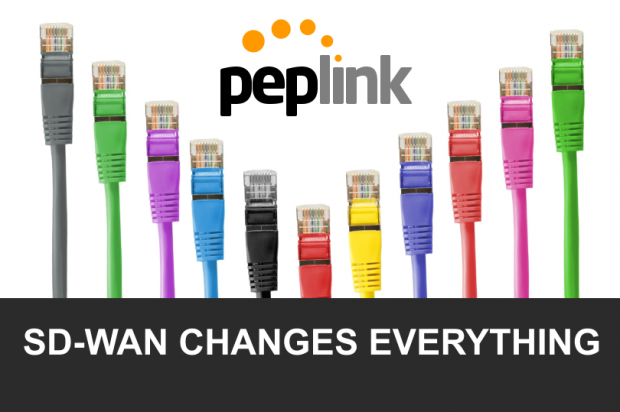 It will completely change you view on what an enterprise WAN can (and should) be.